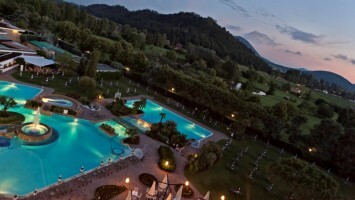 Established in the ‘70s as the scientific-technical extension of the Abano (now Abano and Montegrotto) Thermal Spa Hotel Owners’ Association, real research activities began in 1981, the year in which the Scientific Committee was founded. The aim of the Thermal Studies Centre, a unique institution set up upon the Minister of Industry and Commerce’s advice, is the protection, regulation, and imposition of scientific method on thermal cure centres. In 2005 the Thermal Studies Centre required a European Patent for Euganean Hills Thermal Water Mud certifying its therapeutic antiinflammatory active principle in the European scientific panorama; the patent was then obtained in 2013. In 2009 the Thermal Studies Centre began the research required for the creation of the Thermal5Colours colored clays. The activities are now based on clinical, biological, chemical and physical studies, also through the organization of conferences, symposia, meetings, seminars and publications.